What’s the reason that companies like Google and Zappos have to no more sell themselves to their customers? Why do customers love these two brands? 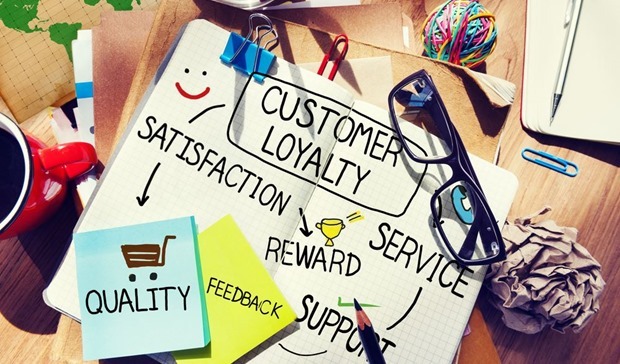 The reason, they command excellent customer loyalty, go to great lengths to make the existing customers happy and in return these customers become their brand advocates. They have mastered the Holy Grail of marketing by building their plinths on brand loyalty. Out of a million brands in the market, only a handful have achieved their level of brand loyalty. And a still lesser number is able to maintain the same level and rule in their respective niches. Here are the top 3 ways in which these two companies achieve this and which remains a distant dream for most brands out there. Achieving one time success is easier than constantly maintaining it. Many brands make a bang in the market, owing to a smart idea supported by excellent execution, it takes the company to great heights. But a majority of these are prisoners of their own products or the initial ideas! A typical characteristic of great brands is that they constantly iterate and innovate, making it a habit. These innovations can be in form of addition of new features, fixing the bugs, tweaking the existing features and improving customer service. Constant iterations to solve the pain points of the users, improving the product and introduction of new product ideas keeps the customers engaged, builds long term relations and the brand flourishes. Google initially started as a search engine now offers email service, complete website analytics, cloud storage and word processing, developed world’s topmost smart phone OS and has ventured into building a smart contact lens to control diabetes and driverless cars. Innovation is synonymous with Google. Google also allowed its employees to work 20% of the time on their own personal projects. Gmail and Adsense that are helping it earn millions are a result of the side projects. Great customer relations lead to sales. Some of the traits exhibited by brands giving utmost importance to customer superior customer service include – ensuring that the customer is satisfied with the product during the products’ lifetime, quickly solving the problems associated with the product and keeping the customer relations friendly and transparent. Give customer service as much importance as the product development and maintenance. In this age of social media, even a single encounter of dissatisfying a customer can break brands. Zappos, an online shoe and clothing store makes their reps bond emotionally with the customers in turn creating a wowing experience to solve the stated and unstated issues. 70-75% of their sales are from returning customers who order twice more than the first time customers. Satisfied customers lead to customer retention which will become your biggest and most valuable asset. A great business idea along with technical expertise, good funding and an apt product are the characteristics required for a brand to succeed, however the most important asset is to have the right kind of people. When you are with the right kind of people, they help in brainstorming for new ideas, acquiring better know-how to chisel out the imperfections and making your dream company a reality. Keeping them happy and satisfied is crucial for your brand’s growth. Stress on keeping the office environment friendly and transparent. Transverse extra miles to teach them the latest skills, offer incentives and profits that will keep them satisfied, motivated and valued. The foremost example is the Google, who keeps its people in the first place. Right from the best industry salaries and flexible work atmosphere (work from home and spending 20% of their time on personal projects) to excellent on-campus facilities such as gaming, gyming and sleeping lofts, they provide everything that an employee would wish to have in his office. Thus Google’s employees are happy, motivated and constantly come up with new innovations. What reaped positive results for one brand may not be as effective for your brand, it needs a trial and error approach to optimize the ideal marketing mixture. Meanwhile it is always beneficial to take out a leaf or two from the companies who’ve successfully accomplished this. I applaud your focusing on company success stories. I would add one additional loved company to your list, Southwest Airlines. They are a great example of your point about motivated, happy employees creating loyal customers, a key part of their consistent profitable grown over the past 40 years. I helped them with this through Economic Transparency. By making the economics of their business transparent, involving all employees to understand and share in the improved financial results, they powerfully engage employees. The trust and focus on the common good captures the employees’ hearts while the information captures their minds. Frequently referred to as Open-Book Management, this creates an empowered, learning organization. And the good news is that it is not very difficult to do. More case examples of open-book success stories can be found at http://www.openbookcoaching.com.